I’ve written about the outdoors and it’s benefits to people from all walks of life. 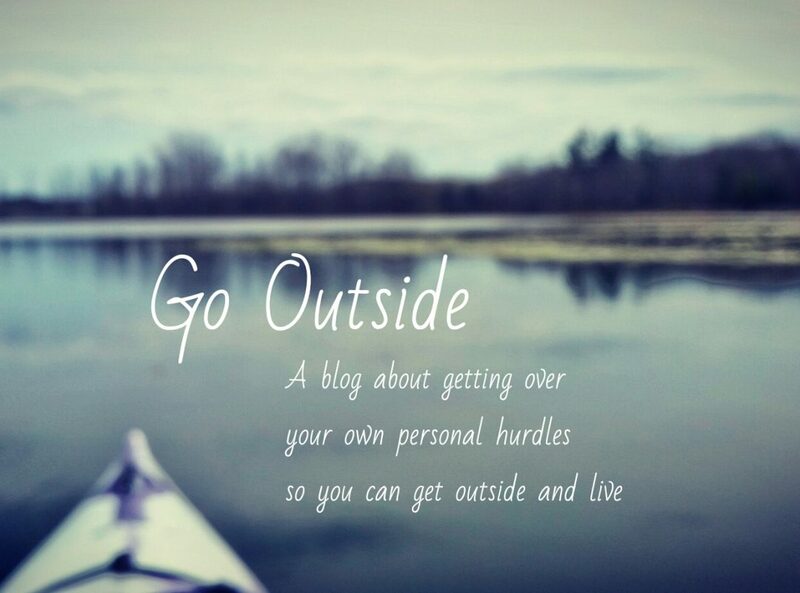 I’ve written about my love for including people with disabilities in outdoor activities. I’ve written about being authentic, yet I’m not sure I have been. I know I’ve alluded to my own disability, but I haven’t really written about it much. And not many notice, as it’s considered an ‘invisible’ disability. Truth be told, I think I was in denial for a long time. But now that it’s getting worse, or “flaring” as some folks in the community call it, it’s time to start talking about it. I have MCS, or TILT. This stands for Multiple Chemical Sensitivity, or more specifically Toxicant Induced Loss of Tolerance. We sometimes hear about someone who can’t tolerate perfume or air fresheners, but it isn’t given much thought. I have to think about this every day. It’s wildly misunderstood. TILT is more than not being able to tolerate perfumes. It’s perfume, common chemicals in cleaning supplies, renovation materials, mold, laundry products, essential oils and air fresheners etc. Sometimes, something I was ok with one day, will be impossible to tolerate the next. It isn’t an allergy. I can’t take a pill for it, and “just a little bit of perfume”, is definitely not ok. TILT causes much more than breathing problems, although that has to be the absolute worst part. It’s not like an asthma attack, (as far as I can tell anyhow, considering I don’t have asthma.) I’ve heard that asthma feels like you can’t get enough air in, almost like breathing through a straw. TILT (to me at least), feels like I can fill my lungs with all the air I want, but the air has no oxygen. It’s like breathing in full breaths of air that do nothing to oxygenate your body. And it can be very terrifying if you are in a place you can’t get away from. It makes you dizzy, gives you migraines, heart palpitations, nausea (OMGosh the nausea), skin issues, chronic unexplained pain and at the very worst, some folks have seizures. I often compare it to feeling like you’ve just run a marathon with a huge hangover and then instead of getting your medal at the end of the race, someone punches you in the gut and knocks all the air out of your lungs. TILT is caused by an exposure to a chemical, then develops into triggering symptoms when you are exposed to even low levels of chemicals that the average person can tolerate or doesn’t even notice. It’s like your body loses the ability to detox anything. Heavy metals and chemicals build up in my body, only getting worse over time. MCS has many causes, but the outcome is the same. I see this as a blessing of sorts. Yes, I said it’s a blessing. There are so many chemicals in our personal care products and people don’t realize that the companies that sell them do not have to disclose ingredients. Anything marked ‘fragrance’ usually means chemical overload. Since my body gives me a clear warning when I breathe in something I shouldn’t, (although not always), I can therefore get away from toxic chemicals. People who don’t have TILT, can wear whatever chemicals they want, but their bodies will absorb them, causing other more serious problems down the road, while I’m running full speed in the other direction. There’s so many ways that it affects your life. Most are things that a lot of people would take for granted. Hospital visits. You would think that would be safe right? No. Not quite. I recently had to go to the hospital for something unrelated, and I was doing ok until the man in the next bed over was discharged. When they sprayed the bed to clean it, I felt so much worse than I did when I came in. Thankfully, I had a mask of my own with me, and being in a hospital felt totally at ease using it there. The rest of the sick people in the hallway would simply absorb the chemicals. Less chemicals are safer for everyone, not just people with MCS. If you want cleaner air to breathe, consider switching to the many safe alternative products out there. (I’m debating on starting another blog that focuses on life with MCS… but we’ll see. It’s taken me almost a month to put this post together.) I’d love to share more info on the safe products that I use and often make myself. But that’s for another time. Go scent free. Clean has no smell. You don’t need chemicals to keep your body smelling fresh as a daisy. So many people will benefit from this, even you. Your health matters just as much as mine. Be kind. When you see someone struggling, offer help and ask them what they need. Don’t judge. You never know what another person is struggling with. Lobby for safer products. There are thousands of chemicals in our products that are unregulated. Guess how many have been tested for safety? 200. That’s right. 200. And the ones that have been tested and proven unsafe are still allowed to be sold. This blows my mind. If toxic chemicals were banned, MCS would be a distant memory for the 300,000 people suffering in this province. If you see someone wearing a mask, smile at them. 🙂 Smiles are free. Like I’ve said, this is a blessing. Don’t feel sorry for me. This is the way things were meant to unfold. I am blessed with many scent free friends and family. I have the ability to keep myself safe. Others don’t. There is a reason that they also call this “Canary Syndrome.” Back in the days of coal mining, they used to put canary’s in cages and take them into the mines. Canaries require more oxygen to fly as high as they do. Down in the mines, when the birds passed out, the miners would know it was time to evacuate because the air was no longer safe. People with MCS are considered modern day canaries, because we serve as a warning to the rest of the public that the products we are purchasing are toxic to us all. It’s a growing epidemic, and I truly don’t want to see anyone else hurt. That’s why I’ve been contemplating putting more information out there. It’s time for a change. Us canaries need to fly high again. Thank you for educating me. I know that people literally “bathe” in their perfumes before leaving their homes. I have a very low tolerance for scents anymore. I totally stand behind SCENT FREE!! People don’t realize how it affects others. I am sorry you had to suffer in silence Joyce, but I am so glad you’ve shared! Thanks so much Kellie! I appreciate your support! My Dad has been experiencing alot of scent problems inducing headaches, migraines, time off work and coughing fits…it has continued to get worse. Thank you for sharing your information I’m going to suggest it to him as well. As someone with an invisible illness myself I understand the difficulty and non friendly judgement you can sometimes face whe you don’t look sick. Thanks Terri-Lynn! I’m so sorry to hear about your dad. Has he gotten help? There’s a specialist in Toronto, although it takes over a year to get in.